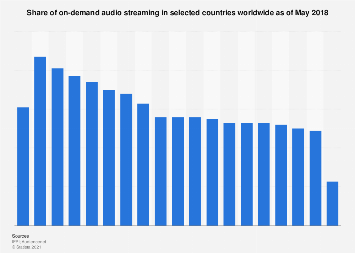 Internet radio company Pandora is set to launch its full on demand music streaming service tomorrow. 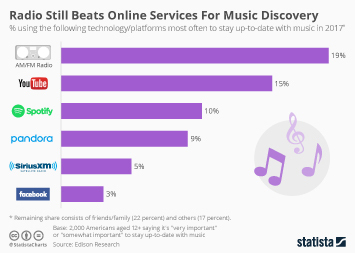 Known as Pandora Premium, it will let people choose from millions of songs for $10 a month. 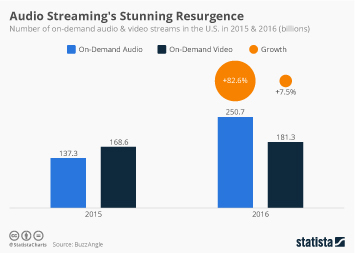 It's set to join a crowded music streaming market dominated by Spotify and Apple music. Surely its arrival at the streaming party is too late? 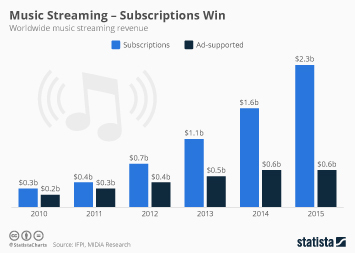 Pandora does have one advantage that might help it gain ground on its music streaming rivals, however. 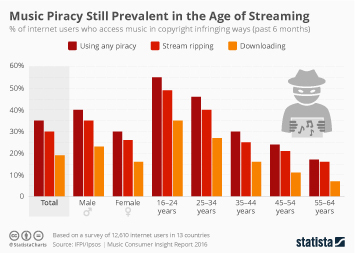 It's been around for 17 years as an audio streaming platform and it's very well known. 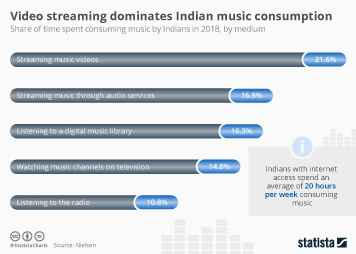 According to a report from Edison Research, Pandora is the most-listened to audio streaming service in the United States by a healthy margin. 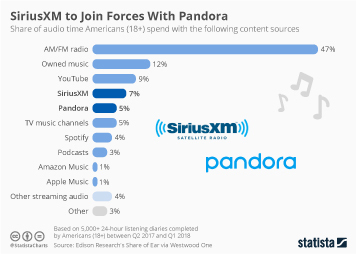 The report found that 32 percent of Americans listened to Pandora in the past month compared to 18 percent for Spotify and 14 percent for iHeartRadio. 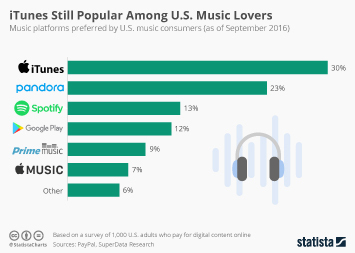 Apple Music is even less popular with only 8 percent of people in the U.S. listening to the service over the past month. 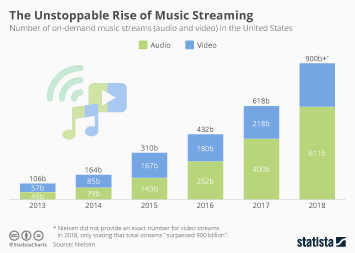 Pandora has 80 million subscribers to its free radio-orientated service but Spotify already has 50 million paying subscribers. 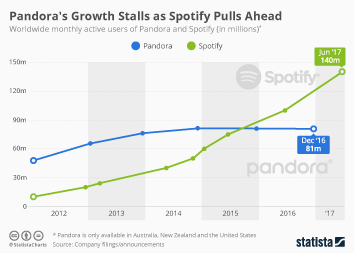 Pandora has a lot of work on its hands to tempt users over to it's new premium service. 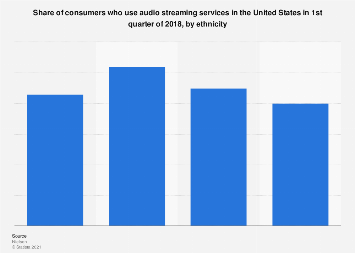 This chart shows the % of Americans aged 12+ who listened to the following services in the past month. 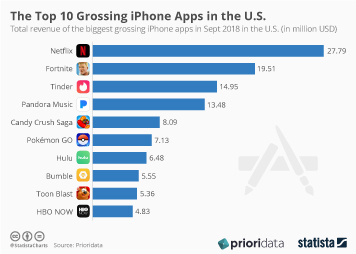 The Top 10 Grossing iPhone Apps in the U.S. 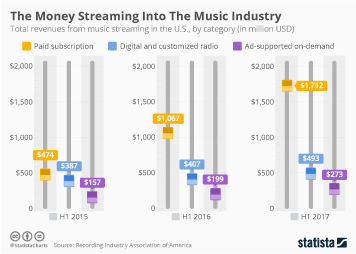 Preferred Music platforms in the U.S. 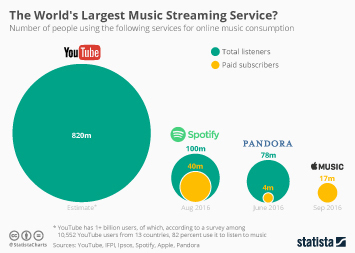 The World's Largest Music Streaming Service?